One is not to split the Amen into two. In proximity of Amen of a congregation: If a blessing is said in public and the people hearing it answer Amen, then it is permitted to answer Amen so long as majority of the congregation has not yet finished their Amen, [and one knows which blessing was said, as will be explained in Halacha 2]. If however the majority of the listeners have already answered Amen then one may not answer Amen even if there is still a minority of people answering Amen. However, there is an opinion that rules that one may answer Amen immediately after the Amen of the congregation, even if the majority of the congregation (or even all the congregation) has already completed their Amen, and if he answers immediately afterwards it is considered as if he is answering Amen after the blessing. Practically, it is all dependent on how close in proximity one’s start of his Amen is to the conclusion of the blessing. Thus, if he heard an individual answer Amen for another person’s blessing and he knows what blessing it is, he may answer Amen after the conclusion of the first Amen, if the first Amen was said without being lengthened. However, by a congregation, in general their Amen is lengthened and drawn-out as it is not possible for everyone to begin and end at the same exact time, and hence if majority of the congregation has answered it is usually too distanced from the concluding blessing for one to answer Amen. However in the event that the Amen of the majority or entire congregation was said quickly and hence its conclusion is in close proximity to the conclusion of the blessing, then one may still answer Amen. Not to answer an Amen if did not hear blessing: One is not to answer Amen to a blessing that one did not hear and does not know its identity, as will be explained next. May one answer Amen to a blessing if he spoke after its conclusion? May one answer Amen to a blessing if the Chazan already began the next blessing? One may not answer a short Amen. This means that the Amen [may not be said quickly and rather] is to be slightly lengthened. It is to be lengthened to the amount of time it takes to say the words Keil Melech Neman. One however is not to lengthen too much in the Amen, as the word is not expressed properly when it is over extended. One who answers Amen is not to lift his voice more than the person who said the blessing. Do the above regulations of Amen [Yesoma/Ketzara/Chatufa etc] apply when answering Amen to a non-blessing? 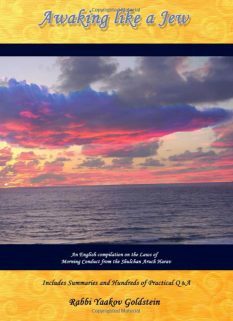 These laws do not apply towards Amen of a blessing that does not include Hashem’s name, such as a Mi Shebeirach, or Harachaman, or a personal blessing given by a friend and the like. The concept of Amen Yesoma and the like were only applied towards an Amen of a blessing that is obligated for one to answer Amen towards. 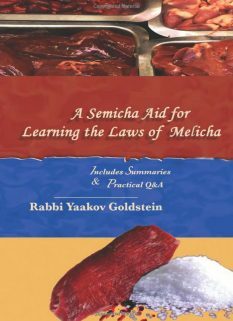 Do the above regulations of Amen [Yesoma/Ketzara/Chatufa etc] apply when answering Amen to Kaddish? May one say the word Amen for no reason? It is forbidden to answer an Amen Yesoma. An Amen Yesoma is considered an Amen to a blessing that one did not hear. This however is limited to only certain cases and it is disputed in Poskim as to which cases this Amen Yesoma applies. There are two opinions in this regard: The 1st opinion differentiates between a blessing one is being Yotzei and one that he is not being Yotzei, however he makes no differentiation between one who knows the identity of the blessing and one who does not. 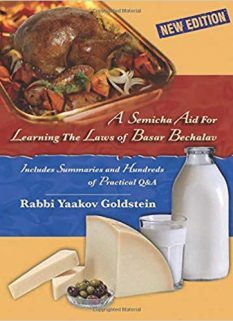 The 2nd opinion differentiates between knowing and not knowing the Bracha and does not differentiate between whether one is being Yotzei the Bracha or not. Some Poskim rule that one may not answer Amen after any blessing that he is obligated to hear, meaning that he plans to fulfill his obligation through answering Amen after hearing it, if he did not hear the [entire] blessing from the person saying it. This applies even if he knows what blessing is being said, nevertheless he is not allowed to answer Amen. Other Poskim however rule that one may answer Amen after any blessing whose identity is known, even if he did not hear the blessing from the person saying it, and even if he plans to fulfill his obligation with this blessing, and he fulfills his obligation through answering this Amen. [If however he is not aware of which blessing was said, then according to all he may not answer Amen.] Practically, one is to be stringent like the first opinion. Thus, if he plans to fulfill his obligation with this blessing he must hear the actual words of the blessing from the person saying it. If he did not hear the actual words of the blessing, he is not to answer Amen, even if he is aware of which blessing was recited. Did not hear and does not know the identity: Some Poskim rule that one may answer Amen after any blessing that he is not obligated to hear, meaning that he does not plan to fulfill his obligation with it, even if he did not hear the blessing from the person saying it, and even if he does not know what blessing was said, nevertheless he is allowed to answer Amen. Other Poskim however rule that one may not answer Amen after any blessing that he did not hear and whose identity is not known, even if he does not plan to fulfill his obligation with this blessing. Practically, one is to be stringent like the latter opinion. Thus, he is not to answer Amen for a blessing if he is not aware of which blessing was recited even if he does not plan to fulfill his obligation with this blessing. Did not hear but knows the identity: If one is aware of the blessing, and is not intending to be Yotzei with it, then according to all he may answer Amen even if he did not hear any words of the blessing from the person saying it. Furthermore, one is even obligated to answer Amen to the blessing and it is not voluntary to do so. Some Poskim rule that even if one is not obligated to recite a certain blessing, nevertheless, if the blessing was instituted to be recited in order to fulfill the obligation of the public, then he may not answer Amen if he did not hear the blessing, even if he knows its identity [just as is the law regarding a blessing that one is fulfilling his obligation with, as explained in A]. Accordingly, one may not answer Amen to the blessing from the Chazan Chazaras if he did not hear the blessing. Practically, one is to initially suspect for their opinion and thus be careful to hear the blessings of Chazaras Hashatz from the Chazan [and at the very least the concluding blesisng]. However, if one was unable to hear the blessing, such as if he was in middle of Shemoneh Esrei and when he completed his prayer the Chazan completed a certain blessing, he may answer Amen after it, so long as he knows the identity of the blessing. One may answer Amen after Birchas Hatorah of an Aliyah even if one did not hear the blessing. If one is fulfilling his obligation with the blessing: When one intends to fulfill his obligation with a certain blessing he is required to hear the [entire] blessing from the person, in order to be allowed to answer amen and fulfill his obligation. If he did not hear the [entire] blessing, then even if he knows which blessing is being recited, he may not answer Amen [and does not fulfill his obligation, and thus must repeat the blessing]. If one is not fulfilling his obligation with blessing: When one does not intend to full his obligation with a certain blessing then he is obligated to answer Amen, even if he did not hear the entire blessing, or did not hear the blessing at all, so long as he knows the blessing being made. If he does not know of the blessing being made then he is not to answer Amen. By Chazaras Hashatz: By Chazaras Hashatz one is to make sure to hear entire blessing of the Chazan in order so he be able to answer Amen according to all opinions. In the event that he did not hear the entire blessing he may still answer Amen. 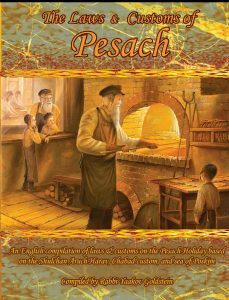 By Kedusha/Kaddish/Barchu: One may answer Kaddish, Kedusha and Brachu even if he did not hear the words being said. 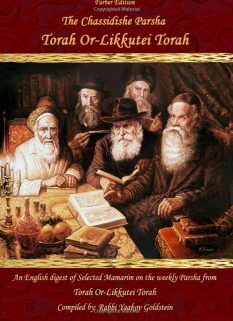 Birchas Hatorah: One may answer Amen for Birchas Hatorah even if he did not hear the words being said. How much of the blessing must one hear in order to be allowed to answer Amen if he intends to fulfil his obligation with the blessing? One must hear every part of the blessing that invalidates it if it were not to be said. One does not fulfill his obligation with the blessing unless he hears from beginning to end. What is the law if he transgressed and answered Amen towards a blessing that he is intending to fulfill his obligation with despite not having heard the blessing? Does he fulfill his obligation? No, he does not fulfill his obligation. If one did not hear the entire blessing, may he answer Amen if it is a blessing that he is hearing in order to be Yotzei Meiah Brachos, such as the blessings of Maftir? Yes. One may thus answer Amen so long as he knows which blessing was said, even though he did not hear the blessing. Nevertheless, one does not fulfill his obligation of Meiah Brachos with such a blessing unless he heard the blessing from the person saying it. May one answer Amen, Kaddish, Kedusha through a Telephone, radio, live video/audio internet hookup? Some Poskim rule one is not to answer Amen or Kedusha in such circumstances. Other Poskim rule one is to answer Amen and for Kaddish/Kedusha. Practically, one may be lenient in this matter. Answering Amen to a recording: One may not answer Amen to a blessing said in a recording. May one be Yotzei Havdala, Megillah and the like via Telephone; radio; speakers; microphone etc? No. One may not answer Amen to such blessings. When being Yotzei it is irrelevant whether or not he knows the Bracha, as he is not Yotzei unless he heard it. When not being Yotzei it is irrelevant whether or not knows the Bracha, as he may always answer Amen. 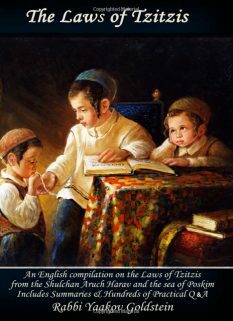 Thus if knows the Bracha then may always answer, even to be Yotzei and when he does not know the Bracha he may not answer even if he is not being Yotzei. The reason: As one does not fulfill his obligation with any blessing unless he hears the entire blessing from beginning to end. [Admur ibid] Vetzaruch Iyun from Admur 124/11 which implies that if one knew which blessing was being said, then according to the second opinion one may answer Amen and seemingly has fulfilled his obligation with this blessing. [So learns Beis Yosef 124 in opinion of Rashi and Tosafus, which is the 2nd opinion in Admur 124/11] Furthermore, perhaps even according to the first opinion if he transgressed and answered Amen he has fulfilled his obligation. In truth however the Poskim rule that the entire dispute in 124/11 is only with regards to whether one may answer Amen, and not at all regarding whether one can be Yoztei the blessing, as in order to be Yoztei the blessing If one learns that the entire dispute in 124/11 is only regarding whether one can answer Amen and according to all he has not fulfilled his obligation if he did not hear the entire blessing. [Peri Chadash ibid; P”M 124 M”Z 4] Vetzaruch Iyun then how is there ever a case that one intends to fulfill his obligation if he did not hear the blessing. The moment he notices that he did not hear the blessing he does not have in mind to fulfill his obligation, so how would this dispute ever apply. Minchas Elazar 2/72; Igros Moshe 2/108; 4/91; Yechaveh Daas 2/68; See Igros Kodesh 13/179 and 13/221 and Likkutei Sichos 21/497 [printed in Shulchan Menachem 1/81] that the Ashkenazim [i.e. Minchas Elazar of Hungary] are lenient in this, thus implying that the Rebbe rules like the opinion. Other Poskim: The following Poskim are lenient are permit hearing the Megillah through a microphone and the like: Minchas Elazar 2/72; Mikraei Kodesh 11; Tzitz Eliezer 8/11; See Igros Moshe ibid that his leaning opinion is to permit being Yotzei and that so should be done in a case of need, that one is unable to hear Havdala otherwise.